Watch what happens when you combine flash technology with a hard drive platform! 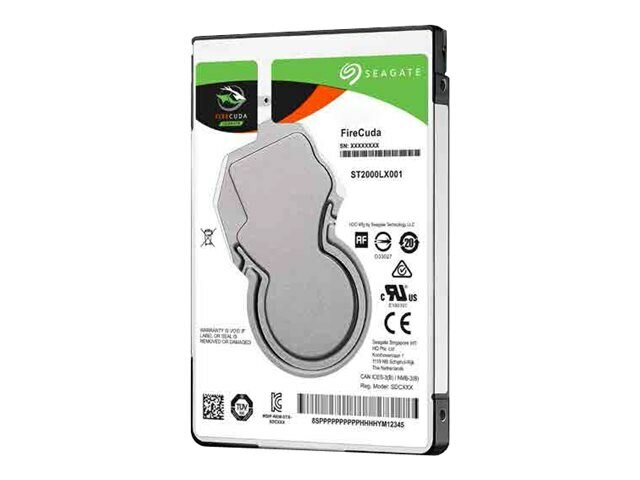 Delivering blazing load speeds allowing for nonstop performance, play and productivity up to 5 times faster than standard hard drives, the 500GB FireCuda SATA 6Gb/s 2.5" 7mm Flash-Accelerated Hard Drive is a high performance storage device with massive of amounts of storage space. This drive's Green Hybrid feature reduces device power consumption, helping users extend their drive’s life and keep their costs down with a power-efficient drive. It also features Multi-Tier Caching Technology (MTC) enhancing performance by using NAND flash, DRAM and media caching technologies, enabling users to load applications and files even faster. Plus, its Adaptive Memory technology identifies frequently accessed data, thereby providing the data faster, consuming less power and extending drive life.